Publisher’s Weekly, New York, Cevin Bryerman, Executive Vice President/Publisher. Vanilla Beer, Artist; scholar of Western Esotericism. "William Blake has always been very close to my heart. Perhaps it is the rebel in him that appeals or indeed our shared love of Methodism. Blake might have been slightly barmy by today’s definition of sanity but his incredible visions and childlike beliefs in God drove his energy and created the heroic genius that he really was. Tobias Churton’s work and research in Jerusalem! is truly astonishing in its detail. He has revealed to me so much. This must be one of the most illuminating and enlightening biographies to date. 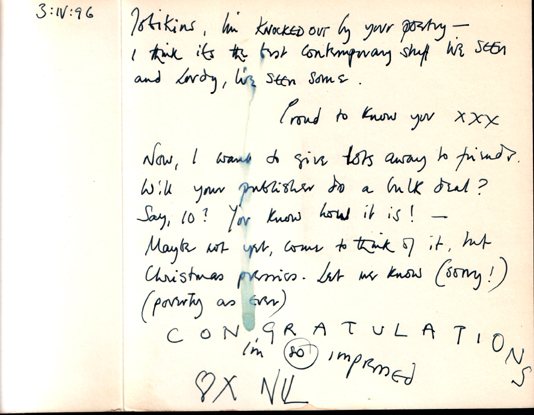 I would very much like him to speak at Glastonbury 2014 and read some extracts from Jerusalem!" 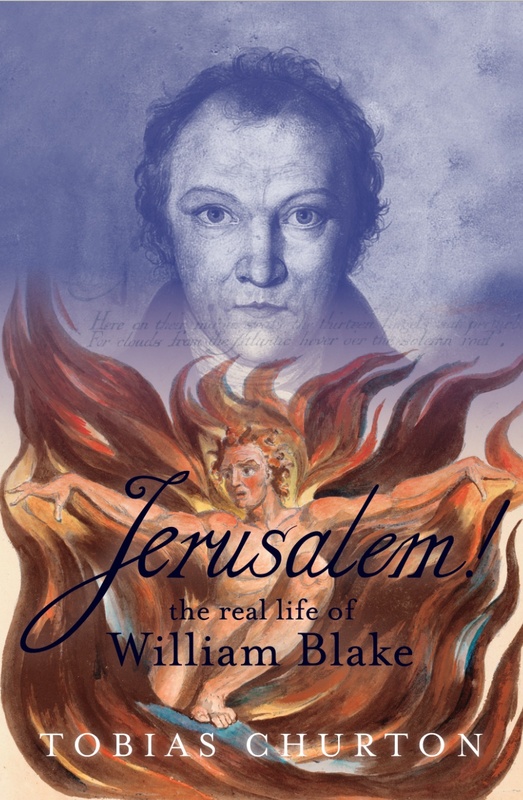 "Few documents on the life of William Blake have survived. His image was already distorted shortly after his death. Tobias Churton has stripped his biography of numerous idées reçues that clouded that image, allowing Blake to emerge from his work against the backdrop of an age marked by revolutions and modernization. It is a brilliant and illuminating book with a personal touch that invites further reading, as Churton generously shares with his readers his pansophical grasp of rejected knowledge. " "As soon as I opened this book I knew I was in for an exceptional treat and I was right. This is Churton at his best. 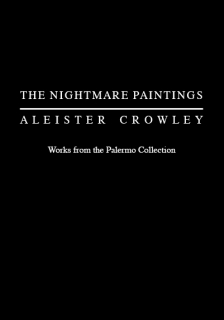 His book focuses, with some broader contextualization, on Crowley’s intermittent sojourns in Berlin between 1930 and 1932, which climaxed in a sensational exhibition of his paintings in October 1931. 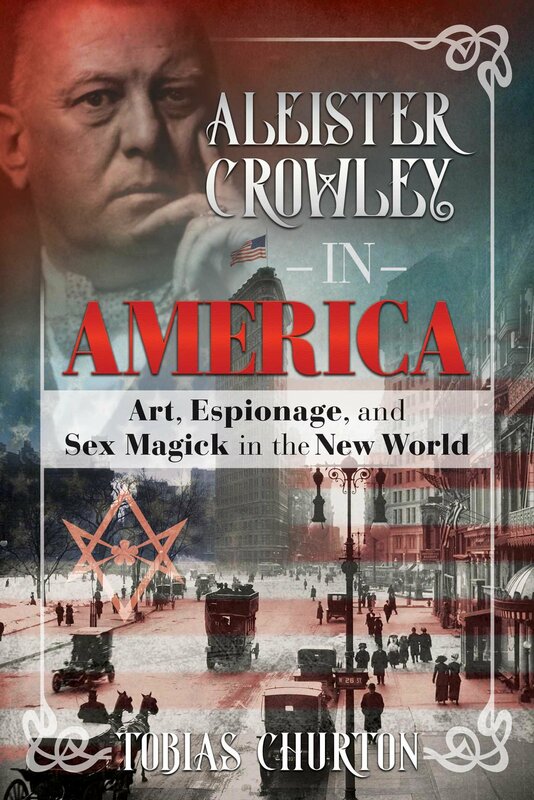 We follow Crowley as he strolls through the city, dressed in a knickerbocker suit, proclaiming his gospel of Thelema, exploring Berlin’s extensive demi-monde, playing chess, painting, writing, fornicating, spying for British intelligence and mingling with a remarkable constellation of artists, writers, philosophers and occultists. One of his friends at the time was Christopher Isherwood, who fictionalized his Berlin experience in the novel that later became the musical Cabaret. Churton, in his vivid, witty style, superbly captures the atmosphere of the city during that feverish, decadent but immensely vibrant and creative era, which ended abruptly with the catastrophe of 1933. Move over, Isherwood. 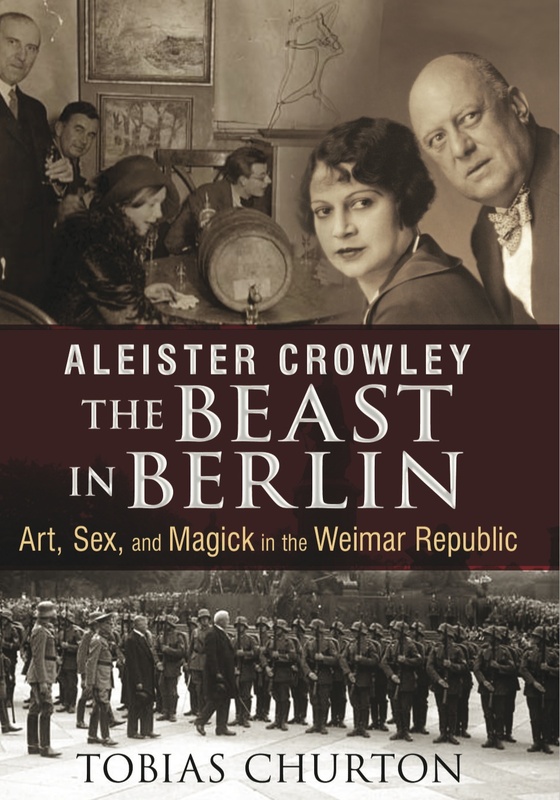 From now on we should be talking about “Crowley’s Berlin”. " 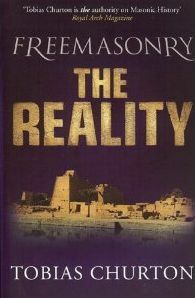 "Ancient conspiracies, freemasonry, jihadists and the CIA are all mixed together in this fast-paced action thriller. What if the first weapon of mass destruction was created more than 1,000 years ago? - a secret passed down through generations. What if America discovered the secret and wanted the knowledge at any cost? 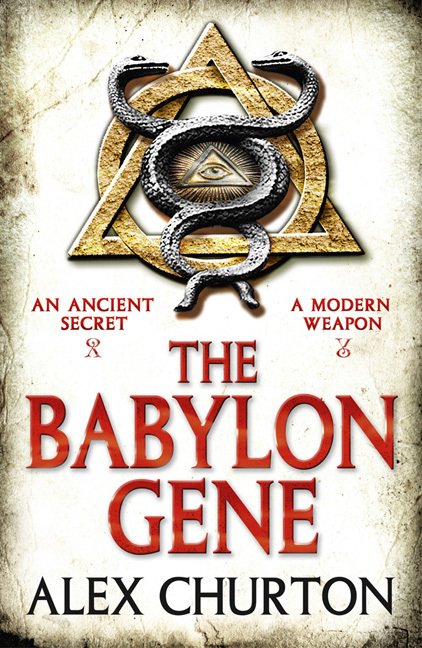 A complex plot brimming with expert knowledge of everything from Freemasonry to genetics, Christian mythology to military tactics and well worth putting the time aside to get properly immersed." 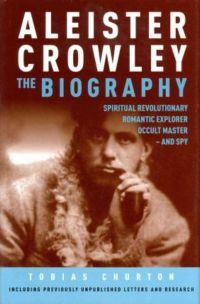 "In Tobias Churton, Crowley has at last found a worthy biographer. 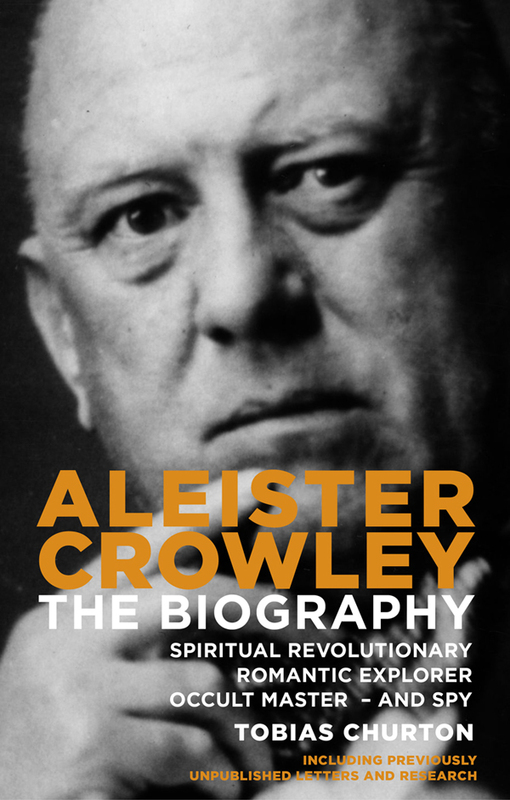 The reader will put down this book with an entirely new perspective on Aleister Crowley." 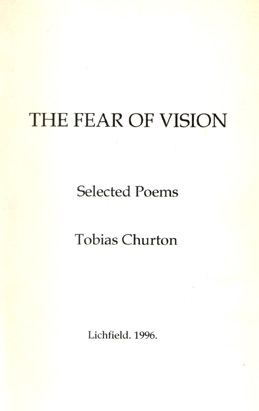 "Churton writes with a hubristic verve." "From the outset, Churton does a first rate job of guiding the reader in and out of ‘the legend’ into a rewarding appreciation of this extraordinary individual. The updated research revealed is remarkable but Churton’s greatest strength is in giving context and translating the ideas, mindset and zeitgeist of a man who precisely tested the limits of his own radically changing times. In addition to conveying the extremes and paradoxes of his subject's thoughts and practices, the author surrounds his own arguments with an objectifying showcase of insights from contemporaries and inheritors of his legacy. An absolutely rewarding work, highly recommended." "Tobias Churton is the perfect candidate to explore Gnosticism with an insightful gaze and a solid grip on history. 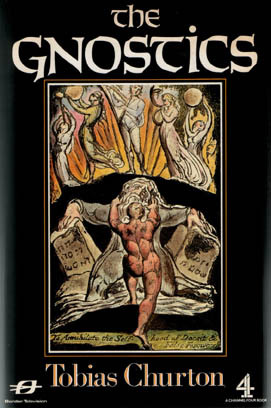 In 1987 he was involved in the acclaimed British Channel Four series The Gnostics and wrote the companion volume. Many of us interested in Gnosticism were first exposed to the Gnostic tradition through these early works. Churton breaks out of the Christian ghetto mentality and explores Gnosticism as a wider phenomenon meandering through history. 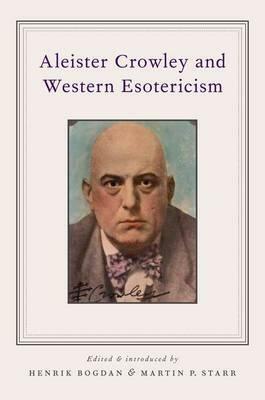 His depth of coverage is impressive, from early Vedic and Zoroastrian traditions through Judaism, Christianity and medieval sects, to modern neo-Gnostics, including the infamous Aleister Crowley. 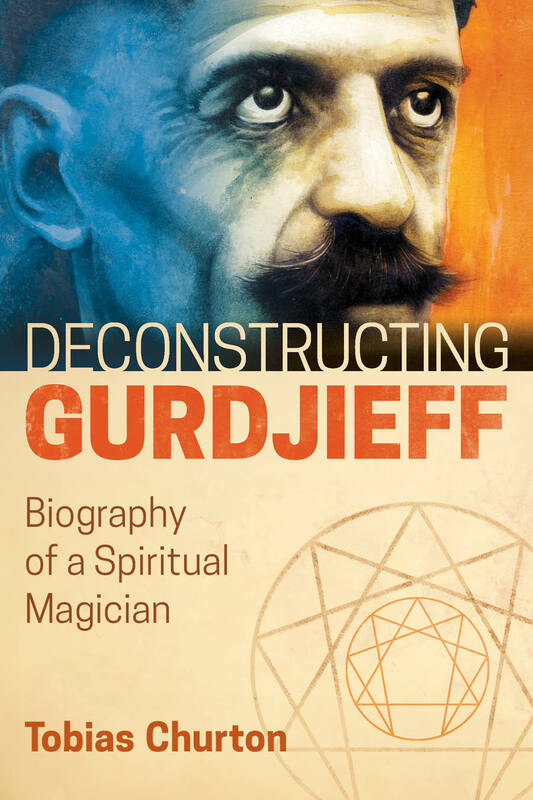 He offers an excellent summary of various Gnostic streams, with lucid commentary and lots of quotes from primary sources.Churton shows his background in Freemasonic history with a superb exploration of the Gnostic elements in Hermeticism and Freemasonry. Churton sees Gnosticism as a playful exploration of the spiritual verities, a praxis (i.e. practical spirituality) based on a direct perception of the spiritual world (gnosis = to know), rather than as a purely speculative form and this is the key to understand his work." Churton separates the wheat from the chaff and disposes of unnecessary speculations and fantasy. 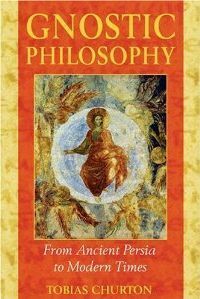 To get a good handle on what Gnosticism is really all about (and isn’t), a great place to start is with Gnostic Philosophy by Tobias Churton." 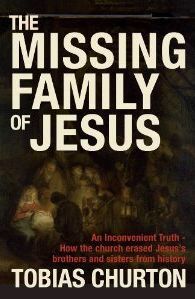 "Offering up equal parts controversy and thrills, theological scholar Tobias Churton rips apart the mythology surrounding the family of Jesus to reveal a stunning truth. 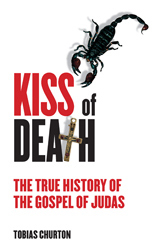 Using a broad range of sources such as the early Gospels and the Dead Sea Scrolls, Churton lays out his case that St. James the Just was in fact Jesus’s brother. Not just a dry reading of the Biblical texts, this journey stretches across continents and reads like a pure thriller as it challenges many assertions made by the Catholic Church." "I didn’t have to be a scholar to follow Churton’s easy-to-read narrative. He cites apocryphal, historical, and biblical sources and examines the recent fictionalized views of Jesus’s family made so popular recently in books and movies. He says he hopes that the reader, believer or non-believer, will not feel threatened, but will take his findings as a stimulus to further thought and study. My thoughts were really stimulated. Churton believes that the split of Judaic monotheism into three distinct religions, Judaism, Christianity, and Islam, could not have happened if Jesus’s family had not been rejected and ultimately driven away. Also, if Paul had submitted to James, the first bishop of Jerusalem, and not pursued a doctrine at odds with him, giving ammunition to the anti-Jewish direction of the faith after the Jewish Revolt, today’s religious conflicts in both the East and West would not have been carried forward to continue to tear apart regions and families in the 21st century." 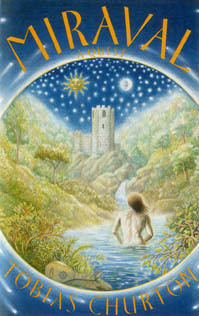 "In The Mysteries of John the Baptist, Tobias Churton has produced a remarkably fresh analysis of the ‘herald of the Messiah.’ The great value of this book is that Churton provides not only a careful overview of the role of John, as handed down in Christian tradition, but gives us a unique and erudite reanalysis of the role of the Baptist using the lenses of Gnosticism, Freemasonry, and other esoteric traditions that have elevated John to a position equal to or superior to Jesus. 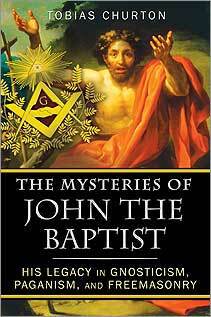 This book is a truly invaluable addition to scholarly literature on John the Baptist." "Churton’s history and analysis of the Rosicrucian age is the finest yet to appear in print and is a major contribution to a comprehension of the subject: from his harbour all subsequent voyagers must set sail. 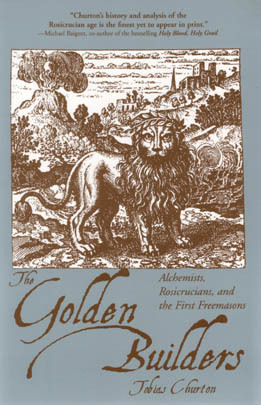 The book ends by focusing upon Elias Ashmole, who knew “the true Matter of the Philosopher’s Stone”, and moves through a detailed investigation of his milieu, illuminating his commitment to Hermetic philosophy and Freemasonry drawing together much recent work which revises our view of pre-Grand Lodge speculative Freemasonry. I urge readers not to hesitate: buy it, read it." 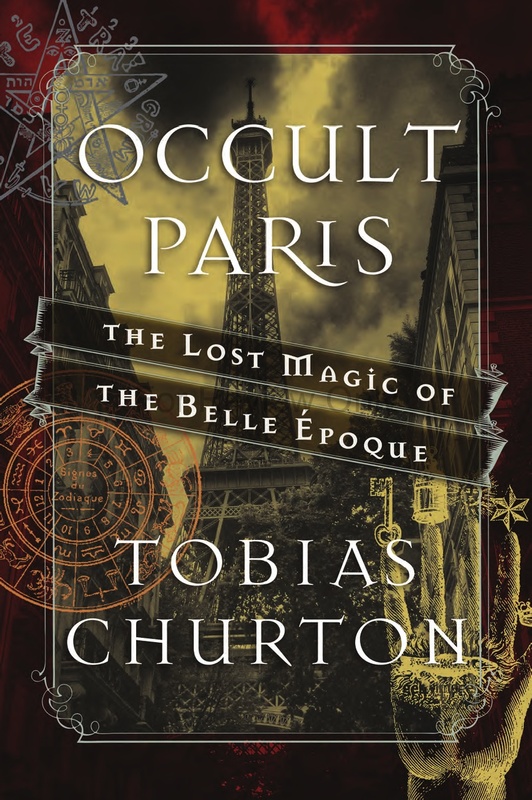 "If you have read any of Tobias Churton’s works before, like The Gnostics or Freemasonry – the Reality, you will know he has a habit of setting himself difficult topics to cover, and then making them accessible through good scholarship and a sharp lucid explanatory style. 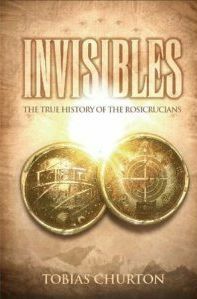 With Invisibles he remains true to form, providing a comprehensive overview of the history and development of Rosicrucianism, one of the most significant strands of the spiritual tapestry created through the development of Western society in recent centuries. As with his other books, Churton utilises his habit of digressing down fascinating avenues of information, only to bring them back in front of the reader to illustrate the points he was making from a completely different angle! He also provides the information in a manner which allows the reader to form their own conclusions, a rare and useful quality in a work such as this. Churton has produced a book which should be read over a period of time, as every chapter is full of ideas which need time to be fully explored and take seed like a strong tree. Like a fine wine, it has the benefit of maturity, and is best enjoyed through sips and not gulps! The European essence of Rosicrucianism is explored through its luminaries, of whom there are many. 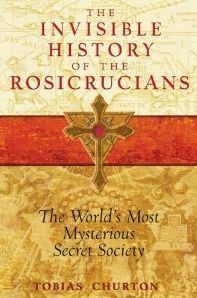 For me perhaps the best quality of this significant tome is that it manages to bring out the spiritual essence which pervades the history of Rosicrucianism, a major feat for which Churton is to be congratulated. 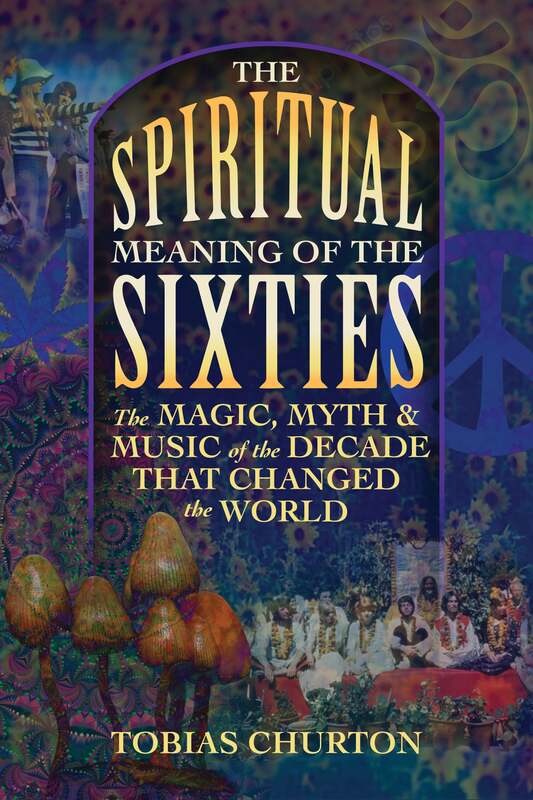 This book is an excellent and worthy study which deserves to be read by anyone with the slightest interest in spirituality, history or indeed the road of the Philosopher’s Stone to personal transformation." "The Social Issues Research Centre (SIRC) was pleased to receive an approach from the Grand Secretary of the United Grand Lodge of England (UGLE) to explore the role and relevance of Freemasonry in society today and in the future. "Brethren, all Masonic students and scholars will benefit from reading this book because the author writes in response to current Masonic trends, challenges, research/findings, and ideas of today. For example, in Chapter Nine: The Scottish Evidence, the author comments in response to David Stevenson’s The Origins of Freemasonry-Scotland’s Century 1590-1710, by writing; “I should think we shall arrive at a better 'result' if we keep our terms to the study of ‘Freemasonry’, not ‘Scottish Freemasonry’, or ‘English Freemasonry’, for that matter. We can speak of ‘stonemasonry in Scotland’ and ‘Freemasonry in England’ or Freemasonry in other countries, towns, cities.” Further, Tobias Churton writes: “One thing at least is clear to all serious scholars of the craft. 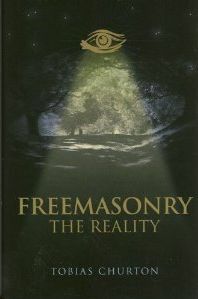 ‘Freemasonry’ does not have a single point of origin - and certainly not a single national origin.” Brethren, this book is a good historical study and reference tool on our beloved Craft. Highly recommended." "Reads like an adventure novel. Ashmole was one of the leading intellectual and spiritual lights of the time, an accomplished alchemist, and close friend of the most brilliant men in England. Churton has given us a compelling picture of Ashmole’s life, the city in which he lived, and the guild structure of the time." The book is written from a deep understanding of the Hermetic, alchemical, masonic and Rosicrucian traditions that are so important for a full understanding of Ashmole, who emerges as a seminal figure in many different areas. His alchemical magnum opus, the Theatrum Chemicum Britannicum, “would become Isaac Newton’s most heavily consulted alchemical text when he came to search for the single divine principle through a thorough working of alchemical experiments”. 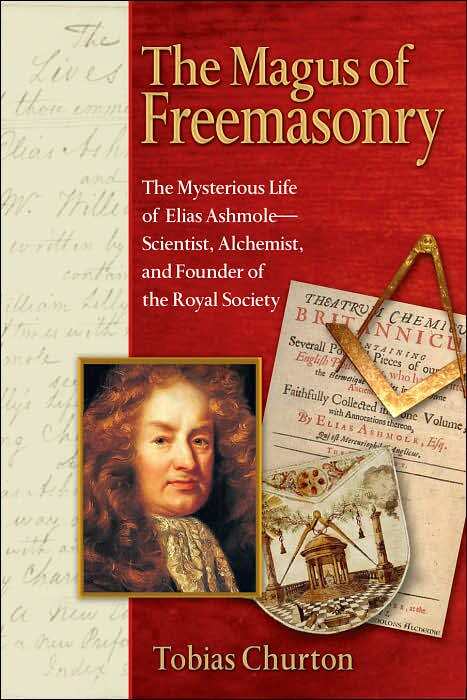 Churton also throws much light on Ashmole’s important role in the history of Freemasonry – he was one of the earliest recorded initiates into a lodge in a non-operative capacity (at Warrington, Lancashire in 1646). Then of course there is the achievement for which he is probably best known, namely his creation of the Ashmolean Museum, which was partly inspired, as Churton argues, by the notion of a repository of universal knowledge as described in the Rosicrucian writings and in Francis Bacon’s New Atlantis. As the inscription on Ashmole’s tomb in St. Mary’s church, Lambeth, says “so long as the Ashmolean Museum of Oxford endures he will never die”. With these words Tobias Churton concludes this valuable and thought-provoking study of Ashmole’s life." Edited by Henrik Bogdan. Published by Oxford University Press, 2012. Contributors include Henrik Bogdan, Martin P. Starr, Wouter Hanegraaff, Alex Owen, Marco Pasi, Richard Kaczynski, Gordan Djurdjevic, TOBIAS CHURTON (Aleister Crowley and the Yezidis), Matthew D. Rogers, R. A. Gilbert, Massimo Introvigne, Ronald Hutton, Keith Richmond, Hugh Urban and Asbjørn Dyrendal.